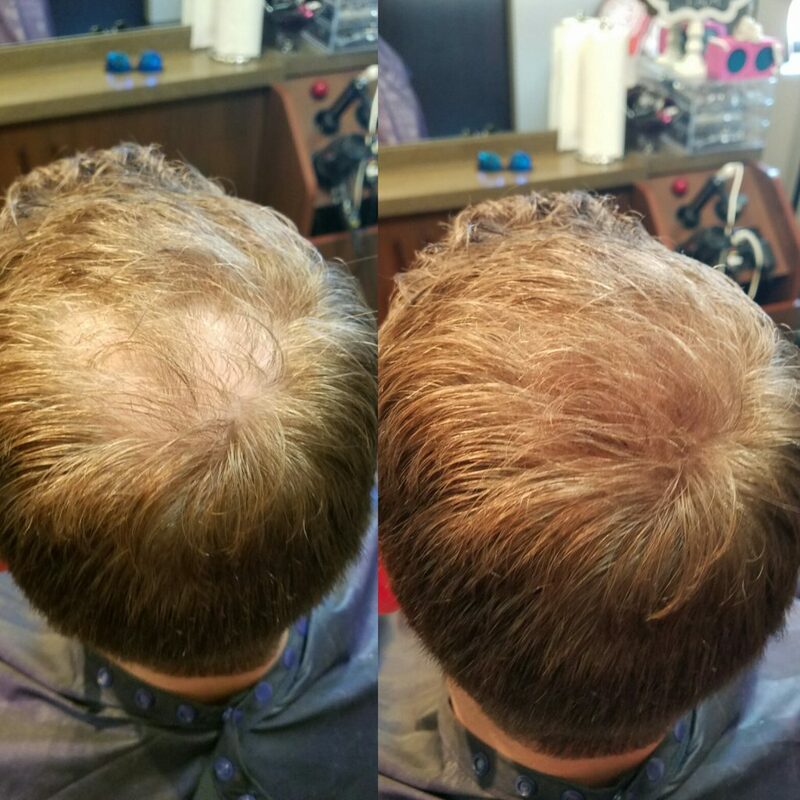 Non surgical Hair Replacement is a custom fitted, thin poly, or lace membrane with human hair injected. It is 100% natural and undetectable. The hair graft is adhered to your skin for a bond lasting 2-5 weeks. This hair is reusable and available in a variety of styles. Each piece is custom cut and styled to your preference. The results are incredibly realistic! This service is life changing for both men and women. Caring for your new hair is simple.